An Ecoflap is the simple way to draughtproof your letter box, make your house more comfortable and save money on your energy bills. 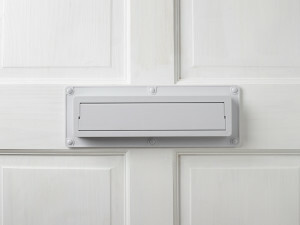 It goes on the inside of your door, so your external letter plate carries on working normally. This popular tried-and-tested product retails from £27.99 (inc tax and delivery). Click here to buy an Ecoflap. Why is the Ecoflap better? 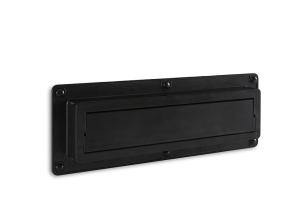 The Ecoflap was designed to let post through easily while stopping draughts. It achieves this through a clever balanced flap that opens effortlessly but closes firm behind itself every time in no airflow, low airflow or high winds. 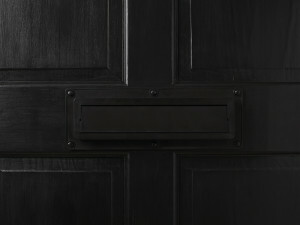 Most other letter box draught excluders form a physical barrier to the elements, usually brushes or flaps, that also form a barrier to postal deliveries. These barriers are normally held in place by springs or hinges that can rust and break, but the Ecoflap won’t do that. 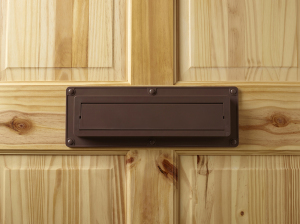 Traditional letter box draught excluders can impede deliveries to the point that post or papers are left sticking through the letter box, allowing the wind and rain to whistle through too. Imagine coming back to a chilly, damp hallway if you’ve been out all day. The hinges on other letter box draught excluders can be so fierce that fingers are nipped as post, papers and leaflet are delivered, but the Ecoflap uses its own balanced weight to close so it won’t nip fingers or chew post. The Ecoflap is designed to work for delivery after delivery after delivery for years. Many customers have taken their Ecoflap with them when they’ve moved house! Will it work with my door? This is a common question and we’ve compiled lots of information to help you decide, but the Ecoflap will fit most standard doors. Please check Will the Ecoflap fit my door. Do you do a draughtproof pet door? This is the second most common question! We have now developed The Petflap, a draughtproof pet door benefiting from the same design principles as the Ecoflap. It’s made in the UK and retails for £69 including VAT . Buy a Petflap. At the moment the Petflap is available only direct from us. You can find out more on our dedicated Petflap site here.